It is absolutely gorgeous in Boston today. I love and enjoy every minute of this time of year. I'm especially inspired by the shades of summer right now! The image above reminded me of the colors and textures of drift wood and sand. 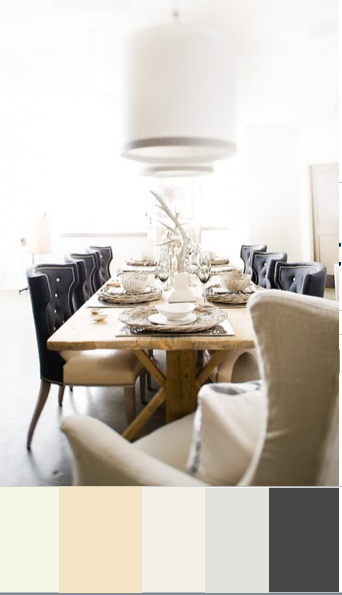 This dining room pulls off a casually, sophisticated look. The chairs, pendants and table all work so well together. Love it. image: Pinterest via La Dolce Vita blog.